He had never run a marathon but decided to enter it at the last minute after winning his 5K and 10K gold medals. Yet the real reason Zatopek is my hero is that he was recognized universally as being an even better human being than he was a runner. And that’s saying something, given his phenomenal athletic accomplishments. 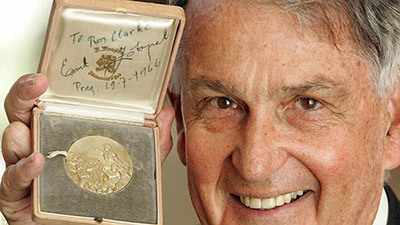 Years later, Clarke admitted that he was terrified that Zatopek was attempting to smuggle something to the West. 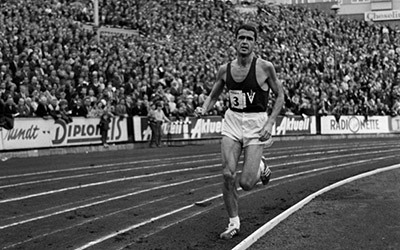 At the time of their meeting, Zatopek basically was under house arrest for defying the Russians who had invaded the then Czechoslovakia earlier in the year. I will give some of the medals to friends and family, along with a note explaining why I chose that particular medal for them. (In fact, some of you reading this post will be receiving them over the next few years.) It will be my way of recognizing how wonderful I think these folks are. Also, I hope it transfers to them some of the dynamic and powerful human energy I both expended and absorbed during that particular race. Also, I will be working with Medals4Mettle, a nonprofit that collects marathon and other endurance event medals and donates them to individuals (especially children) battling illnesses or dealing with severe disabilities that prevent them from running in these events. Because these folks have to demonstrate mettle every minute of every day, this Indianapolis-based nonprofit makes sure they get the medals they so richly deserve. As it says on their web site: “Medals4Mettle celebrates our collective human courage, and our innate desire to reward and support each other as we all face life’s challenges.” One of the coolest things about this organization is that they will not accept “leftover” medals from races – each medal they award has to have been earned by a fellow human. How awesome is THAT? A. They are battling a serious illness or medical condition. B. They have a severe disability that prevents them from participating in athletics. C. They are a caretaker for someone dealing with the challenges I mentioned above in A or B.
D. They simply are facing a significant life challenge and desperately need someone to believe in them. If you have a nomination, please shoot me a PM on Facebook – or email me at david@marathonleadership.com – with this person’s story. If I select this person – and let’s face it, I have a LOT of marathon, half-marathon, ultramarathon, and triathlon medals to give away – I’ll ask for their mailing address so that I can send the medal and a personal note to them. Thanks in advance for your help in this endeavor. Collectively, let’s counter all the negative human actions in the world right now by offering at least a few deserving individuals some much-needed support. Hugs! 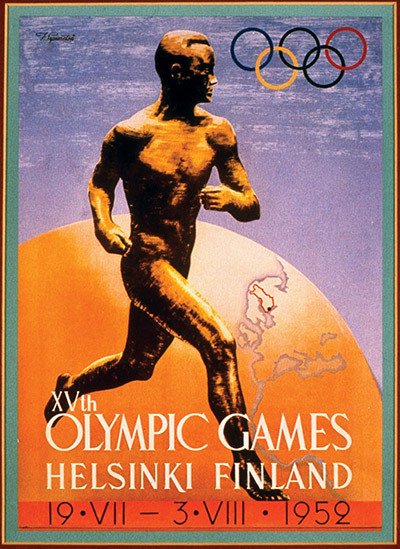 These games will be remembered forever because of Zatopek’s incredible feats. 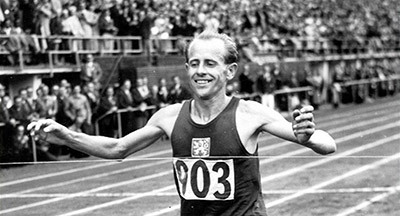 The legendary Czech runner Emil Zatopek wins another race. 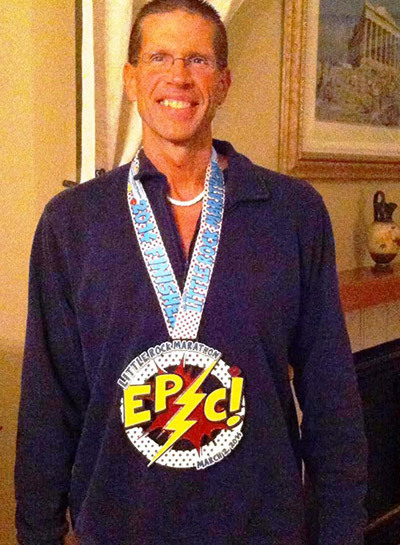 Yes, even this "epic" medal will be given to someone.